Basil and zucchini are in fact summer veggies but can be purchased throughout the year. The delicious combination of both brings some taste of summer on the table, and makes you forget the rainy or snowy days. Topped with creme fraiche. Happy Cooking! - Peel onion and chop fine. - Wash zucchini, peel if not organic, cut in slices. Keep some slices for the garnish. - Melt butter in a pot, add onions, basil and zucchini. Saute for 8-10 min. Stir frequently. - Puree the veggie mix with a stick mixer. - Add the broth and 2/3rd of the cream. Mix well. - Bring to a brisk boil, spice to taste and add lemon juice. 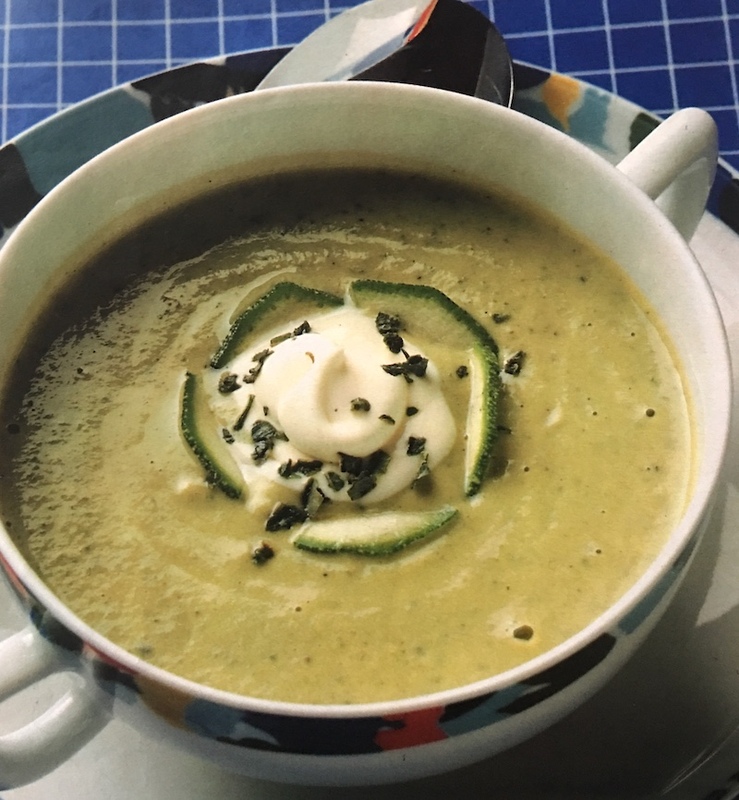 - Fill soup in bowl, add a dot of creme fraiche or whipped heavy cream in the middle and garnish with zucchini slices and some basil.